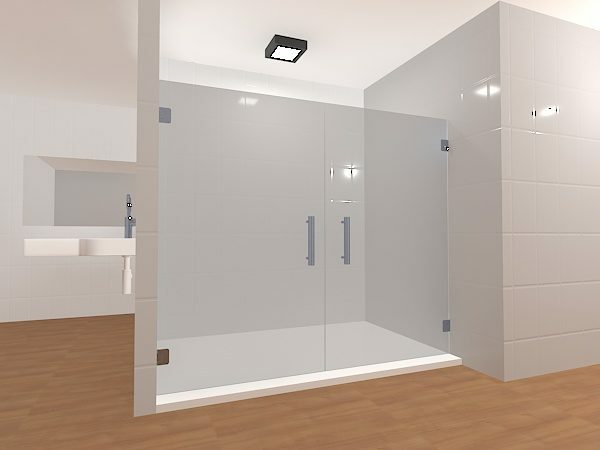 This is one of the more unique designs on the market! 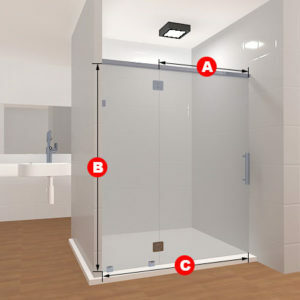 A double-door shower entrance. 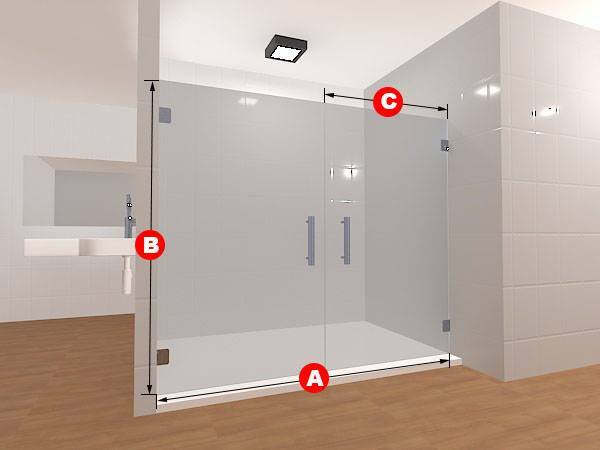 Made of either clear glass or frosted glass, this two-panel piece will fit any open clear shower entrance perfectly and look great at the same time! This includes non-standard sizes, too, as the dimensions can be shifted for your needs. 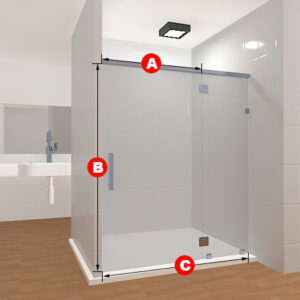 Included in this package are two glass panels, four glass to wall hinges and a handle. 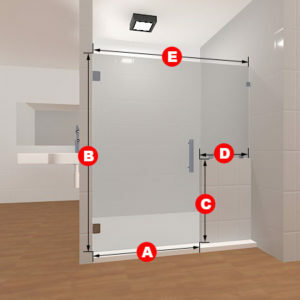 Included in this package are two glass panels, and four glass to wall hinges and a handle.